This gluten free lemon cake is a light dessert and is perfect for when friends come over for dinner! This lemon cake recipe is also dairy free, so if you need a gluten free and dairy free birthday cake, this recipe is for you! And, if you love lemon desserts as much as we do, you will want to check out my Most Popular Gluten Free Lemon Desserts! If you have been following for a while, you know our lemon tree is overflowing with lemons. Huge lemons, the size of grapefruits! 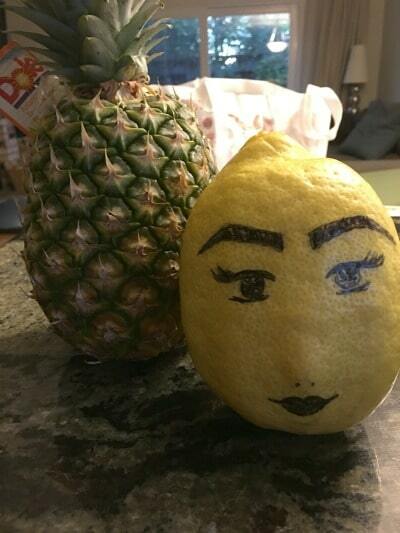 Here is a lemon next to a pineapple. They are almost the same size. Totally crazy, right? We have been farming lemons out the best we can to friends. Last year we had so many lemons the branches were breaking on our tree. This year we are being much more proactive and I am using lemons in as many lemon recipes as I can :-). If you want to try other fresh lemon desserts, check out these gluten free lemon donuts and gluten free lemon layer cake recipes! Fresh lemon is also delicious with seafood, chicken, and many other savory dishes. Note, this gluten free lemon cake recipe will also make an incredibly moist gluten free layer cake! It is perfect for a gluten free birthday cake. Just use your favorite vanilla frosting. I added lemon curd between the layers and it was AMAZING. **Click here to see all of the cake recipes on this blog. Gluten Free Lemon Curd Coconut Cupcakes – these are stuffed full of delicious lemon curd. The first step is to add your dry ingredients and whisk to blend. 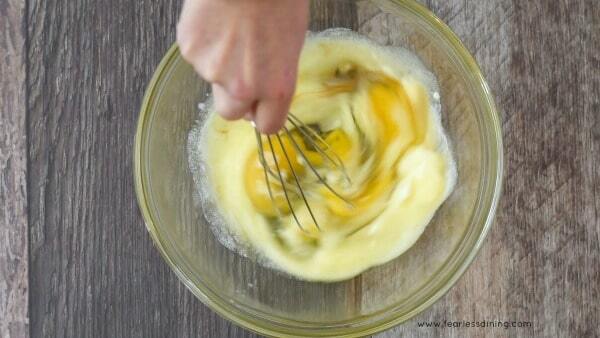 Whisk your wet ingredients in a bowl. Pour the wet ingredients into the dry ingredients and mix until just barely mixed. 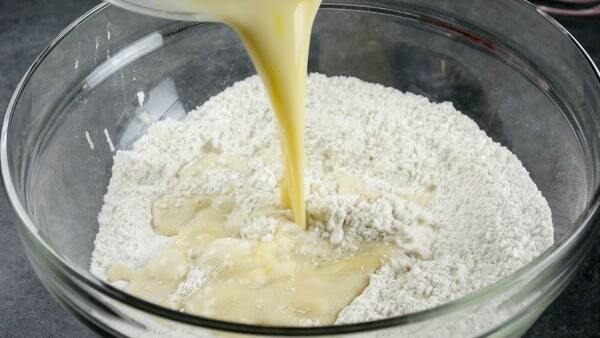 Don’t over-mix the cake batter or your cake will be denser. Spray a bundt pan with coconut oil and pour the batter into the bundt cake pan. How to tell when the bundt cake is done? The best way to see if a bundt cake is ready is to insert a toothpick into the cake. If the toothpick comes up clean, the cake is done. If there is batter or crumbs on the toothpick, bake it a little longer! Here are all of the best gluten free lemon desserts, you will want to check these out! Mixing bowls. These rubber bottom bowls make mixing so much easier because they don’t slide around your counter while you are mixing! 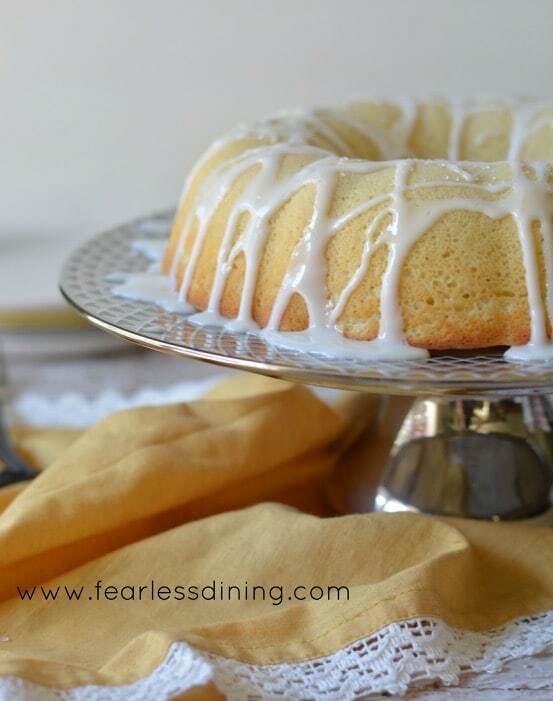 This is an easy gluten free lemon bundt cake recipe with a lemon icing. 1-2 teaspoons lemon juice, add lemon juice slowly until icing is thick and drizzles when you lift the spoon out. Spray a bundt pan with coconut oil. In a small bowl, add wet ingredients and whisk to blend. 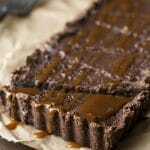 Prepare icing and drizzle over cool cake. How long should I bake it as a two layer cake? Hi Amber, I would bake for 30 minutes each or until you can stick a toothpick in and it comes back clean. First things firs, I’m super jealous – lemon tree!!! I wish the climate here would allow that. This sounds perfect and looks like it could be a brunch or a dessert option. Love those lemons. We are always trying to pawn lemons off on people. Wish you were closer! I love all things lemon & all things bundt! YUM! I wish I had a lemon tree in my backyard! We tried growing one but it failed miserably… this looks like such a divine and tasty cake for summer! I think lemon trees are pretty finicky…we are lucky to have a mild climate here in the Bay Area :-). This sounds perfectly refreshing for these hot summer day’s! Adding to my must make list. I wish I had a lemon tree like yours. Totally jelly right now and this lemon cake looks delicious. I’m not even gluten free and I want to try this. This is the 2nd time I’m making this. 1st time my kids and husband said it was the best cake I’ve ever made. It was very dense and moist and I felt like it wasn’t truly done when I took it out. I’m making right now, I’m on 50 minutes and crumbs still come out, and it looks quite pale. Is the paleness from the almond/GF flour? Any idea why I may need to back so much longer? I’m using Bob’s 1:1 an unblanched almond flour. Even still – it’s still extremely delicious, but I can’t help feeling I’m doing something wrong. Hi Keri, I am not sure, you are not the only reader to tell me they need to bake the cake longer. I am wondering if it is because of the bundt pan making the cake batter deeper? My bundt pan isn’t as deep as it looks in the photo. I will add a note for readers. I am glad you like it :-). I can’t eat coconut and was going to use almond milk, should I use sweetened or unsweetened almond milk? Hi there! I just put my cake in the oven! I do have a question: Is the batter supposed to have the consistency of thin pancake batter? I followed the recipe exactly, and used the gf flour you recommended, but it was very thin. I’ve never seen cake batter that thin before. Hi Donna, My batter is wet, maybe like thick pancake batter. How did it turn out? So, I tried this for my first ever Bundt cake and the first time using a new oven! I used Pamela’s pancake mix for both flours and I used fresh lemon for the juice and zest. It was a big hit!! I had to cook it for 55 to 60 minutes at 350. Light and moist! I am so glad you liked it. I find the baking time is varying widely for readers. I think it depends on the gluten free flour used. Bob’s Red Mill has a paleo flour with tapioca flour included, but no xanthan gum, should I add it still? Hi Gretchen, That flour behaves differently from a gluten free flour. I am not sure how it will do in this recipe. You may need to modify things a bit. I think that flour has coconut flour, which absorbs a lot more liquid than a normal flour. Let me know how things turn out. Love it, it’s a…….do over….and over an over again. I may try it with some ginger added. I like ginger. I am so glad you liked this cake Bev!! Those lemons are amazing, Sandi. And what a beautiful cake! 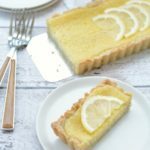 I love lemon cake in the summer – or anytime really! LOVED this recipe. Served it with Lemon Mousse and fresh raspberries. Even those who don’t eat gluten free enjoyed it. Definitely on to save to my personal recipes. You are so welcome. Feel free to reach out if you have any questions…I so remember how hard it was when you are just starting out :-). This was a hit! Made this for a gathering where the host is a gluten-and-dairy-free eater, so I wanted to make sure she could enjoy it! Everyone (including the gluten and dairy lovers) went back for seconds! Next time I might add some lemon zest; I love lemon cakes so I like them to be extra lemony. I used Bob’s Red Mill for both the almond flour and the GF blend and the cake turned out perfectly moist. Thanks for the great, easy recipe! Thank you so much Chloe. I had a person write that they used Cup4Cup for this recipe and it didn’t work. The only big difference I could figure is that that particular flour blend has a lot of milk powder in it…and somehow it reacted differently. I am not sure which gluten free flour blend you are using so I did want to mention that just in case you were looking at using that brand. Wondering if I ca. Sucessfully substitute buttermilk for the coconut milk. I just have a ton of it. Sounds deliscious! Hi Erika, I have not tested this recipe with dairy because of the lemon. If you try this, please check back and let us all know how it turns out. I can’t wait to try this ….. it will be good with iced tea here in the Arizona desert ! 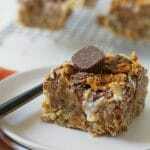 Sandi, thank you for sharing this recipe !! I hope you like it Janice, just make sure the gluten free mix you use doesn’t have dry milk powder, it can react with the lemon juice. Hello from ?? Rockies! I’m new to your site & love it! My allergies are many, do you know of a substitute for Xanthan gum, or other Gums? I badly want to make this Lemon Bundt Cake, but know I will need to replace it at the higher 4,600 ft. Altitude here. Thanks for your great site (still happily exploring) & help. Cheers. Will do! Wish me luck. Thanks so much! ?? Question? Made the cake per recipe. Used better batter for GF flour. Had to cook it another 20-30 min after the 40 and still a little gummy?? What am I doing wrong?? Hi Angela, I am not sure since I have never used this flour. I looked online at their ingredients and there is A LOT of starch in their flour blend. I have to think the starch content with the lemon probably is the reason your cake is gummy. I always use Bob’s Red Mill 1 to 1 GF blend or Authentic Foods Multi Blend when I make this recipe. Can I sub maple syrup for the sugar? I have not tried this recipe with maple syrup. Because it is a liquid, you may need to adjust the dry ingredients. Would you please write back and let us know how it turned out if you try it. It is me again……Yes! another success. And it is sweet enough not to have icing! Thanks so much for the Gluten Free Lemon Bundt Cake with Lemon Icing recipe. I have used it for the last four weekends as a base. I have added different mixtures of sugar (turbine, white cane, and brown) different kinds of flours, even quick oats, and different kinds of fruits. I have a mini bundt pan and a couple of small baking dishes. I keep one, and give the other ones away. It works every time. Since it is sweet enough to add icing, I put the zest in the batter. Still have 15 minutes until my lemon blueberry, raspberry, dark chocolate chip bundt cake is done to have with a cup of coffee. Thank you again! I love lemons and just made this bunds cake. It turned out very moist/dense inside and looked under cooked, even though I had it in the oven for 55 minutes. I am new to gluten free cooking, any suggestions? Hi Troy, I am happy to help. First, can you please tell me what gluten free flour blend you used? I used Bob’s Red Mill All Purpose Baking Flour. Hi Troy, I have only used the flour mix you used for fried chicken coating. It contains bean flours, which are very dense. If you click the link gluten free flour blend, you will see I used a very different mix by Bob’s. His 1 to 1 gluten free mix is much lighter than what you used. 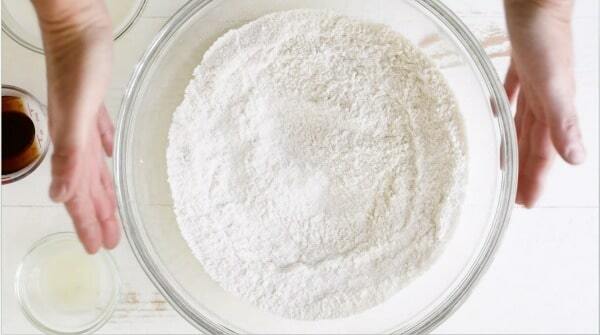 Using gluten free flours is like doing a chemistry experiment. Each starch, flour, and how finely the flours are milled all play different roles. 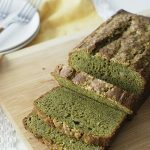 This is one of my favorite articles on the gluten free flours, and how they behave: http://glutenfreegoddess.blogspot.com/2008/12/baking-cooking-substitutions-for-gluten.html I hope this helps. Thank you so much Sandi. There is loads of helpful information here. I can suddenly see my G/Free cooking taking a positive change for me and my daughter. I am so happy I can help. I remember when the kids and I had to go gluten free. It was before there were products in the stores and I had to figure out how to make gluten free bread. I tossed so many attempts straight into the trash. If you ever have any questions, please let me know. My favorite gluten free flour blend is Bob’s 1 to 1 mix Ultimately, it works in almost everything. Plus it has xanthan gum already in it so you don’t have to add more. My other favorites include Authentic Foods Multi Grain blend and Pamela’s Pancake and Baking mix (has nuts though.) Please feel free to ask any questions you have along the way. sandi@fearlessdining.com Also, the mix you have with the bean flours is great for savory things. I use it for eggplant parmesan and frying foods, like fried chicken. This cake looks so light & flavorful! I love using citrus, it’s such a terrific flavor – definitely on the radar to make this! Oh my. I love lemon baked goods and this is calling to me. 🙂 Thanks so much for sharing at Savoring Saturdays, Sandi! I love lemon, but I’ve never actually made a bundt cake. It looks so good Sandi, I think I need to add a bundt pan to my collection! 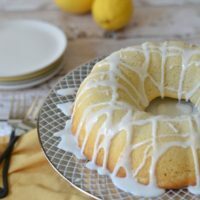 I love bundt cake and the lemon is perfect for summer. 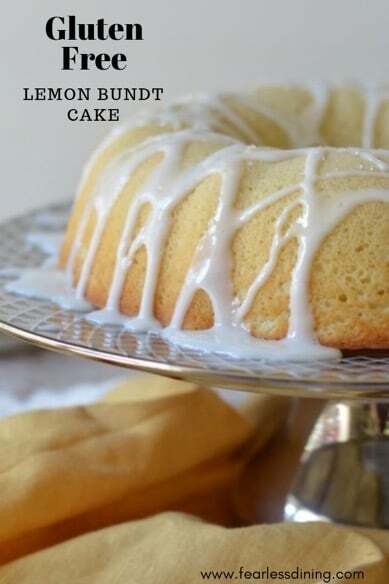 I love lemon desserts, this bundt cake sounds wonderful, I wish I had a lemon tree too! Sandi, your cake looks fantastic, I wish I had some to go with a nice cup of tea 🙂 I’d love to have a citrus tree in my yard, it’s certainly hot enough in Mississippi in the summer for Lemons to grow but it’s a bit too cold in the winter unfortunately. 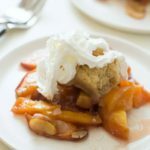 I am allergic to almonds, is the another flour to substitute? Hi Adele, Thank you for taking the time to write. You can substitute 1/4 cup of additional gluten free flour blend instead of the almond flour. Please let me know how it turns out. I was just going to ask the same question. Thank you. 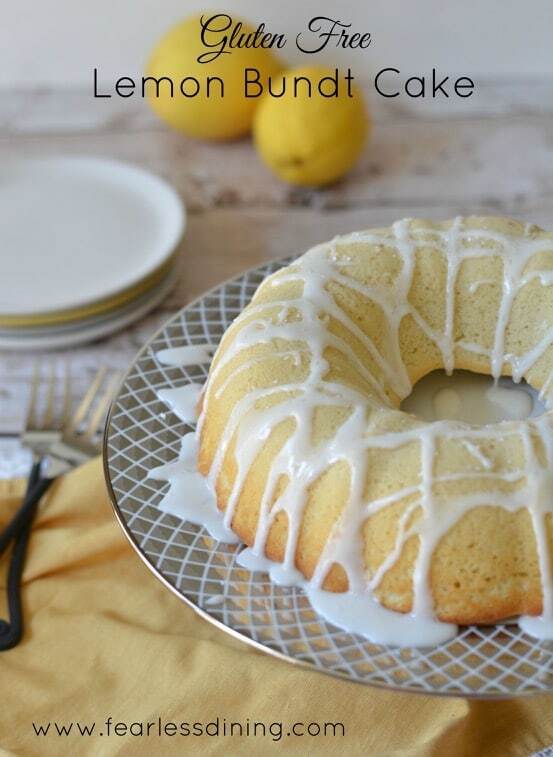 I wish I could reach through the screen and snag some of this yummy looking lemon bundt cake! I bet it would be delish with any hot or cold beverage. Thanks for sharing the recipe! Love this recipe Sandi! Perfect for some birthdays we have coming up! 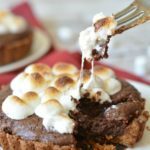 Okay, you had me at lemon – I am obsessed with anything and everything lemon and this dessert looks incredible!!! I will def. 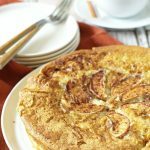 try this on a weekend for brunch, my friends will probably go crazy for it! This bundt cake looks so deliciuos. Over the weekend, I tried a lemon-chocolate bundt cake. Now, I am ready to try your recipe. Happy birthday to your FIL. Thank you so much. I hope you enjoy it. To make it vegan, just use an egg replacer.